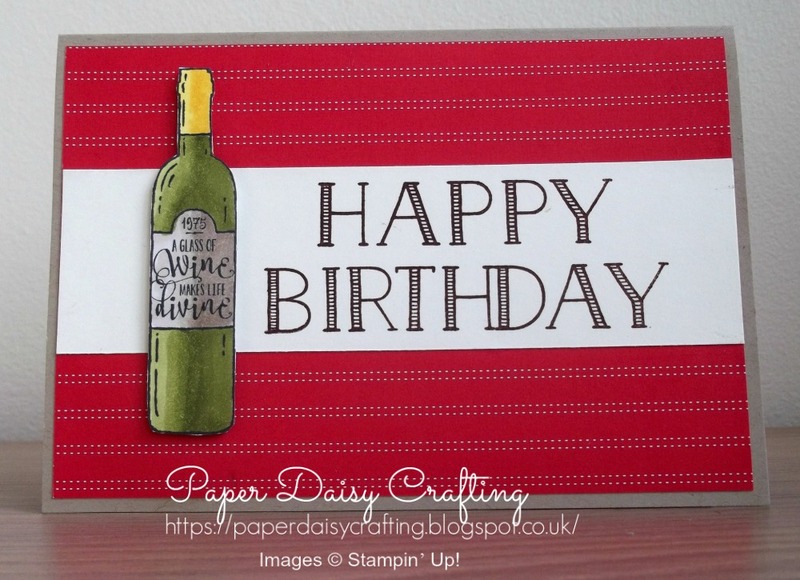 I'm once again joining in with the Pootles Team Birthday Blog Hop this month. Sadly this will be the last of these hops - watch this space for something new coming in January. I love taking a stamp set or other product and seeing how many different occasions I can use it for. Stamp sets are not cheap so I want to get the most value from each one as possible. So when I was recently invited to take part in a challenge to create a non-Christmas card from a Christmas set I was well up for the challenge! I took the Half Full set and created some cards which be perfect for birthdays, especially for males who are notoriously difficult either to make or buy cards for. 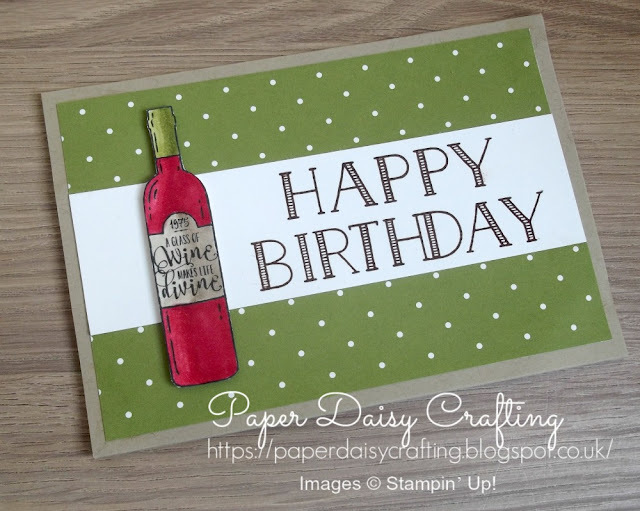 I began with a Crumb Cake card blank and added a panel of patterned paper. The green one is from the "Merry Little Christmas" pack and the red from "Quilted Christmas" pack. 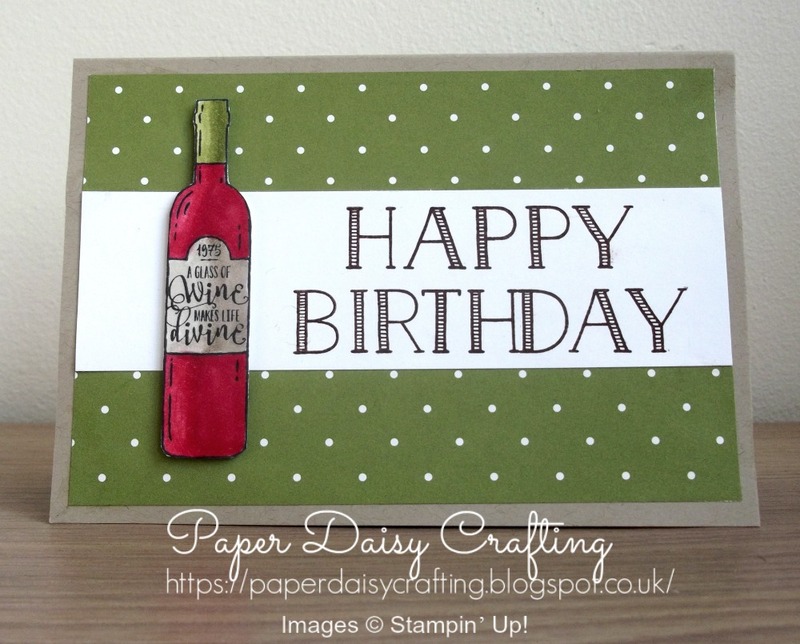 I then stamped the Happy Birthday sentiment from the Big on Birthdays set and I stamped that in Chocolate Chip. 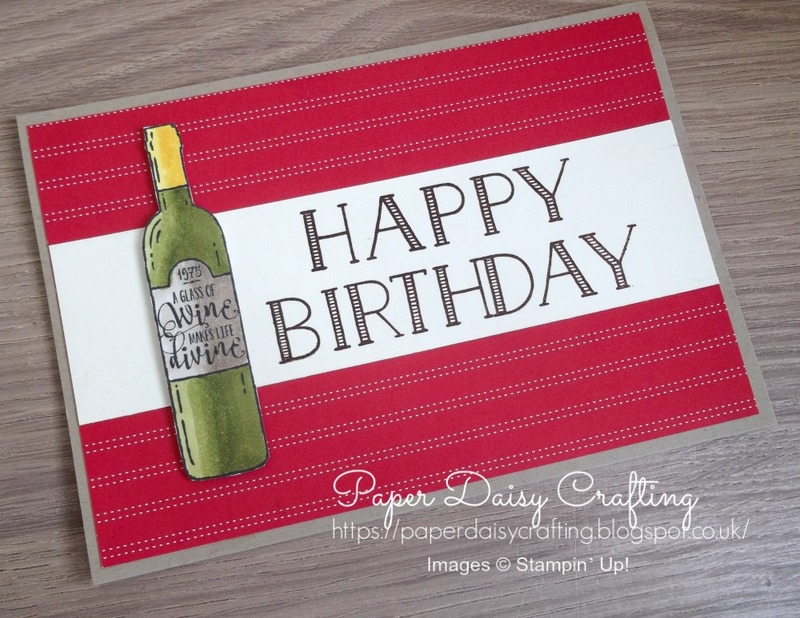 The wine bottle was stamped in Black Memento ink and coloured with or fabulous Stampin' Blends pens. A little bit of fussy cutting and a couple of dimensionals and my cards were made! Hope you like them! Do take time to hop around the other blogs involved today - some lovely projects out there!